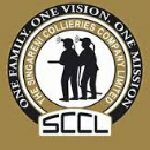 SCCL Forest Officer recruitment 2016-17 notification apply for 242 posts : The Singareni Collieries Company Limited (SCCL) welcomes application for the position of 242 Management trainee, junior forest officer, junior mining engineer trainee, welder trainee, Physiotherapist, junior technician pharmacist and junior forest Assistant vacancies. Candidates who completed their B.Sc., Diploma, intermediate, bachelor of Physiotherapy, SSC, ITI, M.Sc. CA, ICWA is a good opportunity.The individuals who are the occupation seekers searching for govt employments in Telangana this is the best chance to apply. Competitors read the official notification then read all the guidelines and miners precisely then apply before the last date online application got. All the interested and eligible candidates can apply before 17th July 2016. Candidates Age Limit: The age of the candidate should not be less than 18 years and should not be more than 30 years. The age of the applicant should be reckoned as on 1st June 2016. Academic qualification details: Candidates should have CA / ICWA. Academic qualification details: Candidates should have M.Sc. in agriculture / forestry / horticulture or holder of government forest rangers certificate or forest range officer in forest departments / corporations or in equal cadre in any other forest based industries organizations. Selection Procedure:- The selection of the candidates will be on the basis of written examination depending on the number of applications received. Details of Fee particulars: All the interested and eligible candidates are need to pay application fee Rs 200/- through Auto Generated Challan. Official website: All the interested and eligible candidates can apply online through official website of The Singareni Collieries Company Limited (SCCL) http://scclmines.com from 1st July 2016 to 17th July 2016. Important Dates: All the interested and eligible candidates can apply before 17th July 2016.